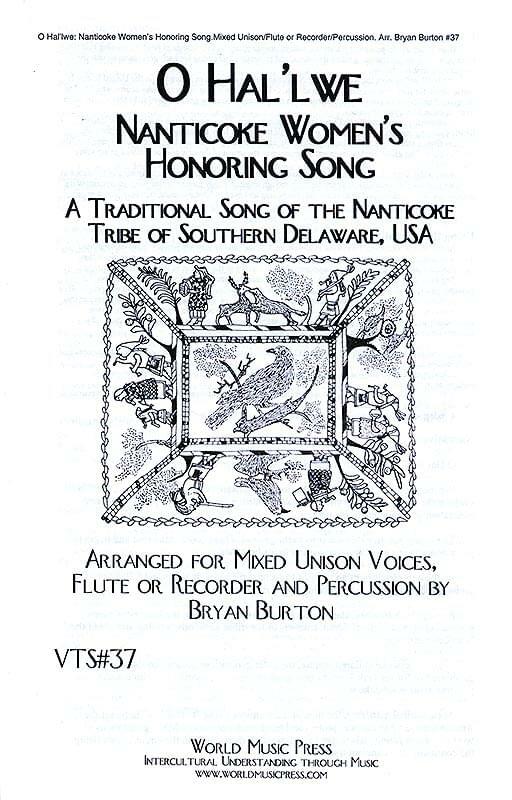 Arranged by Bryan Burton, this is a traditional song to honor women of the Nanticoke tribe of Delaware. Traditionally it was sung by Nanticoke men to honor the women of the tribe while the women performed a specific dance. Women now join in the singing, but only women perform the dance. Included are dance steps, narration for performance, and cultural context information. Mixed unison voices; flute/recorder; percussion; all grades.